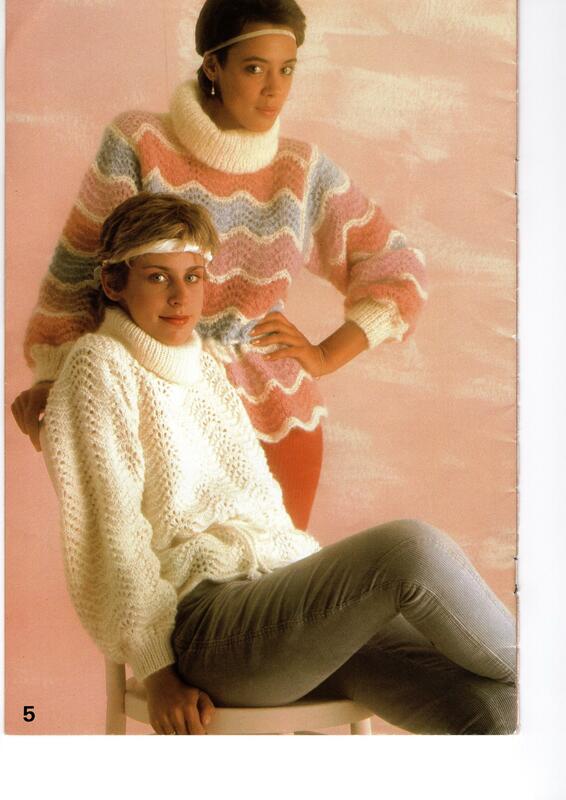 This Patons booklet contains 8 knitting patterns for women's pullovers. The designs are intended to be knit with Patons Flair, Caressa or Brushed Caressa. 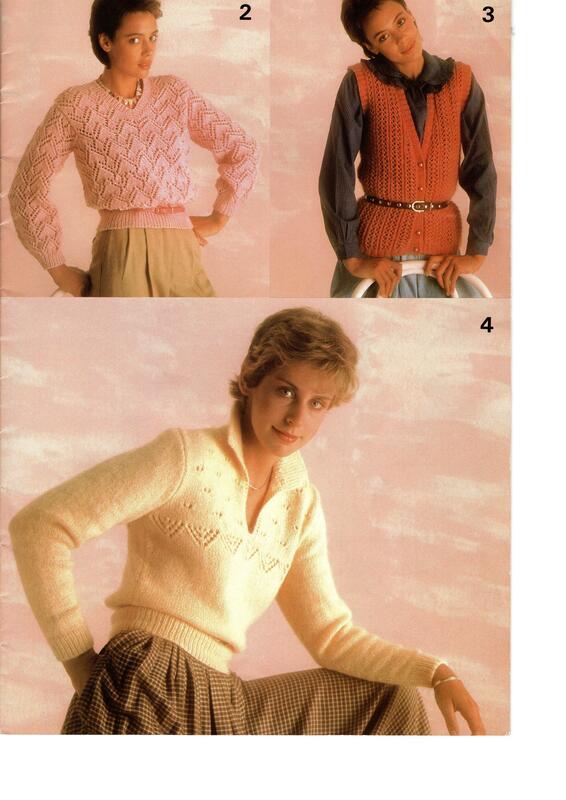 Patterns include a stripes, lace, and fair isle.